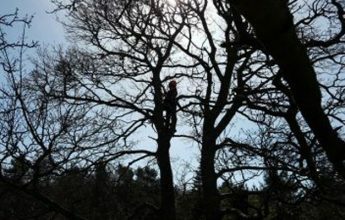 Most natural or ‘wild’ habitat in the UK is subject to some kind of management whether this is coppicing in woodland, cropping grassland, or other management. It is often necessary to manage habitats in such a way as to conserve or enhance their special features, or to manage for particular species, thus enhancing the sites ecology. To put it simply, habitat creation does not work unless it is complemented by habitat management. Incorporating biodiversity into new and existing developments of all kinds is a key concept in line with national and local planning policies. We recommend that consideration of biodiversity and potential requirements for habitat management are included at the onset of project development. If it is considered from the start the likelihood of success is much higher. We can provide you with a Management Plan on how to best look after your site for wildlife for the long term as well as undertake a variety of habitat work such as landscaping, vegetation management and/or removal, planting or any other type of habitat management. 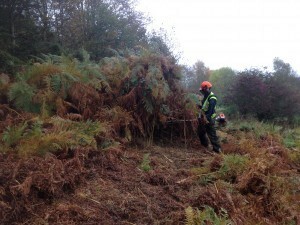 Our willow spiling services are described here . The advantages of using EcoNorth are that we can be your one point of contact for the process, from survey → management plan → habitat management → completion.